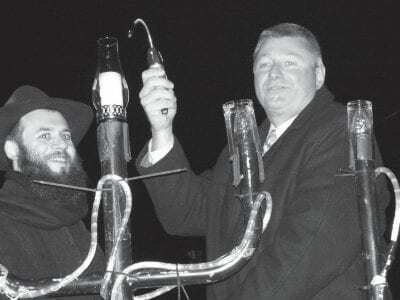 Rabbi Avir Korer and Carmel Supervisor Kenneth Schmitt climb a ladder to light the county’s official menorah on Route 52 at Route 6 in downtown Carmel. Last week Christians and Jews gathered along the Gleneida lakeshore in downtown Carmel to c… Please login below or purchase a subscription to the Putnam County Courier to access this content. Putnam Humane Society Volunteer Bakers Needed! We need volunteers to donate cookies for this year’s annual Cookie Walk fundraiser at Drew Methodist Church, 28 Gleneida Avenue, Carmel. Contribute your craft! The date is Sat. Dec. 18th, from 10am-3pm. Contact Kati at Katimac@katimac.com f… Please login below or purchase a subscription to the Putnam County Courier to access this content. Thurs. Dec. 9 Zoning Board of Appeals 7:30pm at Town Hall Tues. Dec. 14 Fire District Annual Election 6pm-9pm at Fire Commissioners Bldg., 85 Gleneida Ave. … Please login below or purchase a subscription to the Putnam County Courier to access this content. The Pacapellas sing the National Anthem. 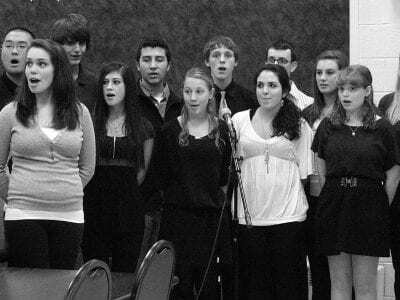 A routine meeting of the Carmel Town Board took on a festive note when the highly professional Mahopac “Pacapellas” from Mahopac High School performed. The young musicians and their director&mda… Please login below or purchase a subscription to the Putnam County Courier to access this content. The Enoch Crosby Chapter of the National Society of the Daughters of the American Revolution (DAR) will be hosting a Gala Holiday Party and Auction on Saturday, Dec. 11 at 12noon in the Grand Meeting Room of the Mahopac Library. 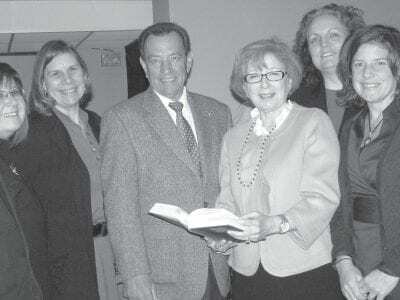 Chapter Members a… Please login below or purchase a subscription to the Putnam County Courier to access this content. 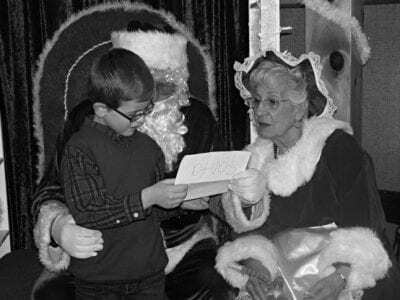 The Town of Carmel Recreation and Parks Department “Breakfast with Santa,” which was held on Sunday, December 5 at Sycamore Park in Mahopac. Photos by Susan Schwenk. … Please login below or purchase a subscription to the Putnam County Courier to access this content. Brewster Superintendent of Schools Dr. Jane Sandbank holds a dictionary when thanking Mike Cavalieri at last week’s Rotary meeting in Southeast. Administrators and faculty members from area schools are also on hand to praise the Rotarians. Tha… Please login below or purchase a subscription to the Putnam County Courier to access this content. 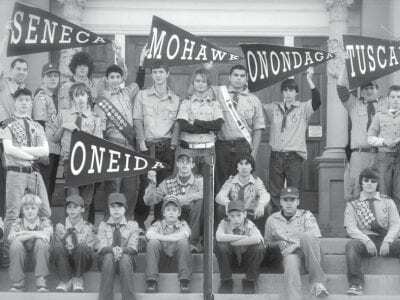 Above: For its 100th anniversary, Brewster Boy Scout Troop One recreated the scene of a historic photo, shown below. The roster from the original Troop One Brewster “Longhouse Troop” is Scoutmaster: Murray H. Gardner, Emerson W. Addis Jr…. Please login below or purchase a subscription to the Putnam County Courier to access this content.